We have only had a few days of rain in March and our last rain was last week--so it seems like the rainy season is slowing down and may be over soon. People are harvesting their crops and already tobacco is being taken in and sold. 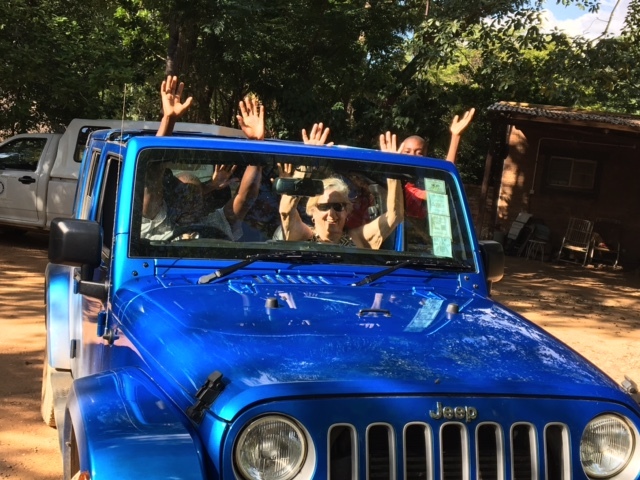 Since the rains have slowed down we decided to take the top off the JEEP coming home from church a couple of Sundays ago and we enjoyed playing our church music load and singing along and waving to the people on the way home. Megan has been here busy working on her project for the last 2 weeks. She is a lot of fun and company and keeps busy running all her samples. She went back for a few days on Tuesday to Harare to run some samples at a lab there and will be back Sunday evening. On the 24th of March, Dr. Isala, Dr. Munodawafa, Major and I travelled in to hold interviews for a third doctor position we were granted by the government. Dr. Bungu from Mashoko joined us to help with the interviews. We have offered a job to Dr. Tafadzwa Mazuruse who is finishing his internship in Harare and will be sorting out his licensing and joining us soon. We look forward to this added help. 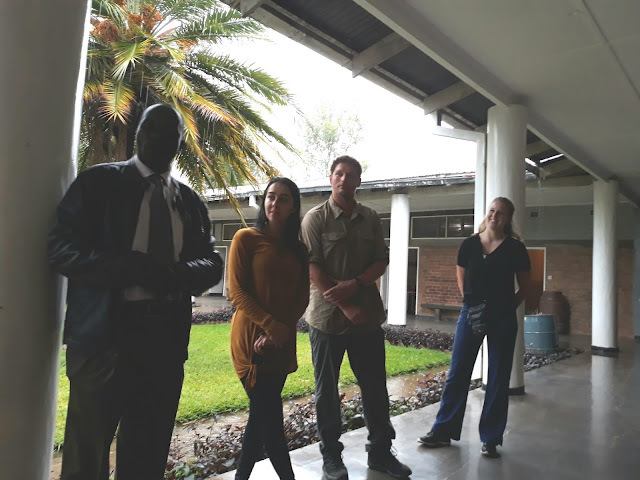 Yesterday our surgery team from Harare, Mr. Kundiona, Dr. Kajese and Mai Kajese, a theater nurse came. After dinner they started surgeries at 9 p.m. and finished at 0630 a.m. they worked all through the night after working all day in Harare. They came home to shower and have breakfast and leave for Harare! they were so exhausted. They did 12 cases and I packed cake and coffee for them to have between cases! 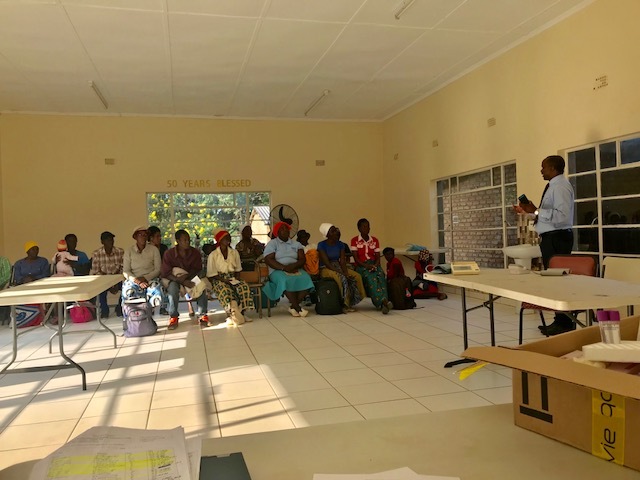 We are so thankful for these times they come and help our patients so they do not have to travel to Harare to have elective surgeries and pay a lot of money. We are so thankful for their free time they give to us! Our electricity went down on last Sunday when a storm hit near Karoi and knocked 2 power poles in different places down. Our electrical company had no truck to bring the poles out so they did nothing until last night when they finally brought poles out and started working on replacing them. I moved up one of my freezer to the hospital to keep my meat good as the 24/7 solar backup is working perfectly here. Last night we had to run the generator for the surgeries for 9 hours!! That is a lot of money for us, so had to send for more diesel today. The doctors left about 9 a.m. this morning. The minute they sat in the car they were falling asleep. We drive them to Karoi and then they drive themselves back to Harare from there--so we hope they wake up! Driving in for the Doctor's interview we enjoyed a beautiful sunrise! Mr. Kundiona trying to stay awake! Dr. Kajese asleep before car left! Mai Kajese staying awake until they leave!